ManBacon got bacon burned this weekend. 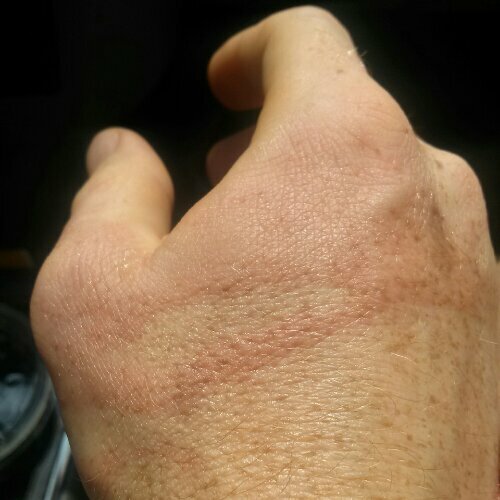 That evil bacon grease decided to bust a glass jar all up in his hand. I can safely say neither of us, nor my bacon-grease-splattered kitchen, recommend this as a fun way to interact with bacon grease. But don’t worry, after some ice packs and aloe vera, ManBacon is ok (phew). 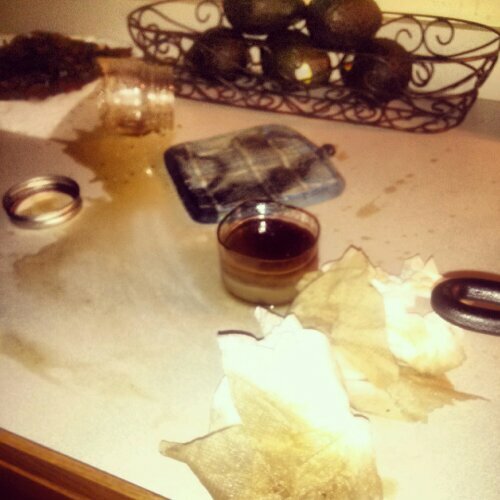 Luckily, the glass jar severed neatly, didn’t cut his hand, and didn’t spew any shards. And my kitchen really needed to de-greased anyway, so we’re good there, too. Lesson learned: wait to cleanup kitchen until after eating bacon…aka, after cold glass jar has warmed and hot bacon grease has cooled. I hate it when Bacon fights back !! OUCH! This has happened to me, and I express my sympathy!